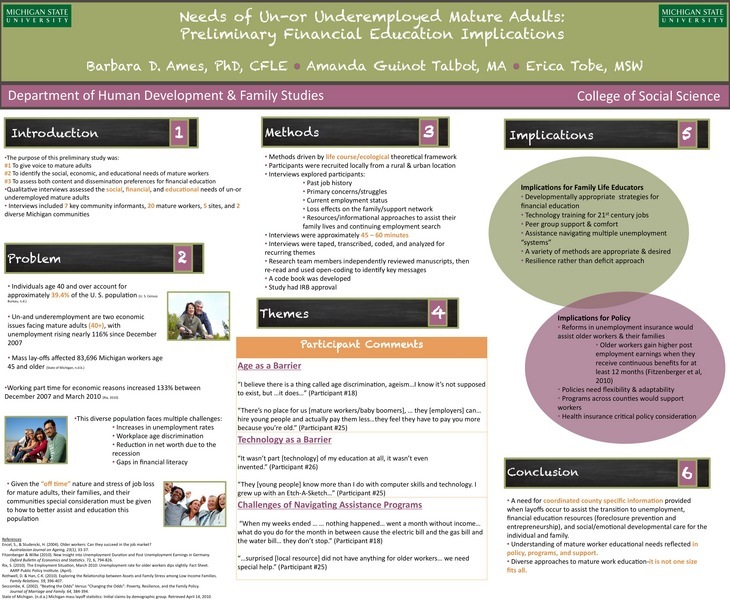 2010-2011 - Graduate Education Committee, HDFS, Michigan State University. 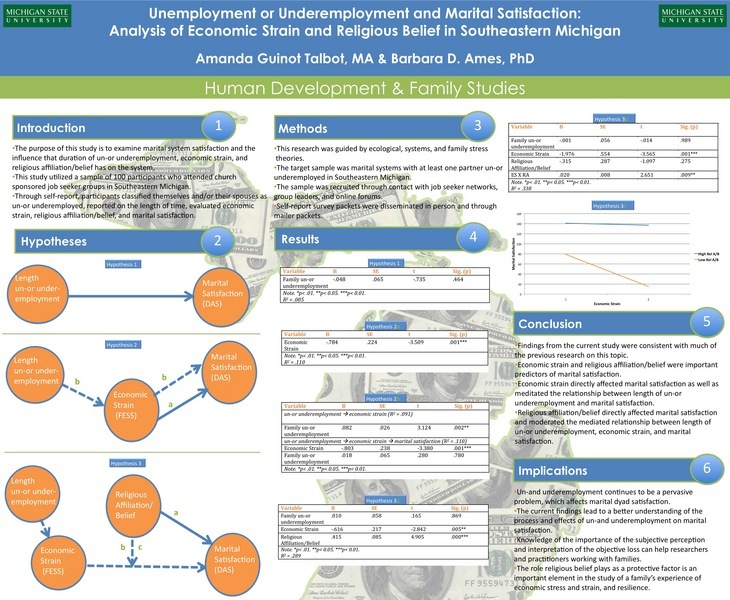 Sample PP: "On Being A TA: Tips & Tricks from the Field"
Sample Video: "Marriage & Finance"
My work as a graduate research assistant has involved research surrounding finance stress and strain/work and the family. 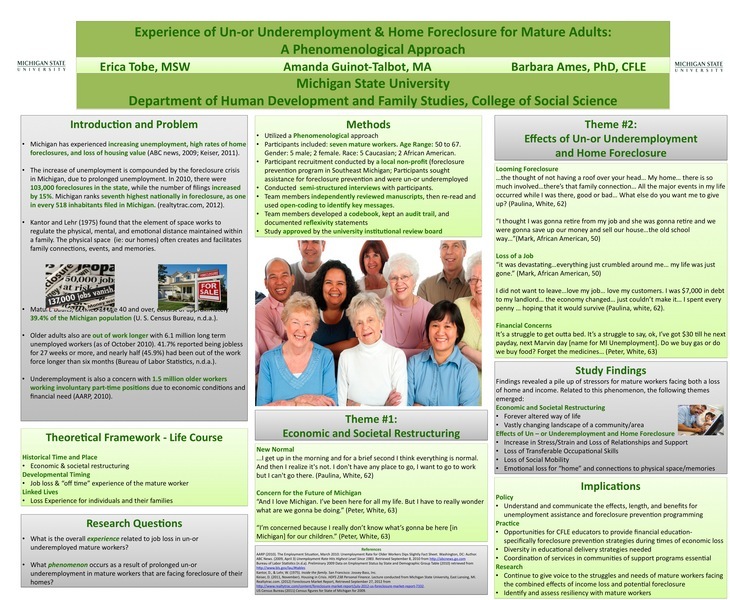 Research projects have been both quantitative and qualitative, and topics include un-or underemployment and marital satisfaction, un-or underemployment and religious belief and affiliation, un-or underemployment and mature workers-educational implications, and un-or underemployment and home foreclosure-implications for mature workers. Other duties consist of departmental administration and marketing functions such as assisting the graduate director with general operations, creating a department brochure and flyers, conducting department poster sessions, and taking and archiving department photography. From 2008 to 2010 I worked as a teaching assistant for HDFS 238, Personal Finance. This tenure included fall, spring, and summer (online) semesters. During this time I held multiple teaching and administrative roles. I learned a lot about working in a large-scale classroom (350-400). In this environment, activities and classroom strategy must be altered to accommodate the large number of students. Overall, this experience allowed me to learn more about course planning, administration, grading, lecturing, the use of technology in a large classroom, and on-line teaching.